A local talent show that sold out for the second year and delivered a red carpet event like it was a Hollywood production. 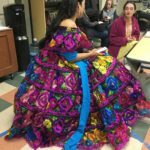 It was live-streamed globally via CoronadosTalent.com website so friends and relatives near and far were able to watch and vote for their favorite contestant. 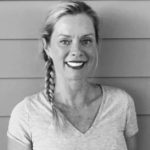 Without question, Coronado is the land of the talented with age not being a determining factor. The night’s contestants ranged in age from about 7 to a confirmed 100 (both of these contestants were dancers). 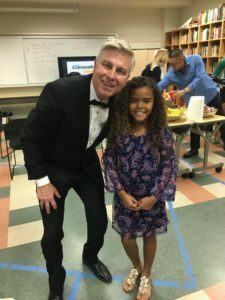 The evening, at the filled auditorium at Coronado High School, began with an outstanding a capella performance of the National Anthem by 10-year-old Village Elementary fourth grader, Theresa Kelly-Kimble. 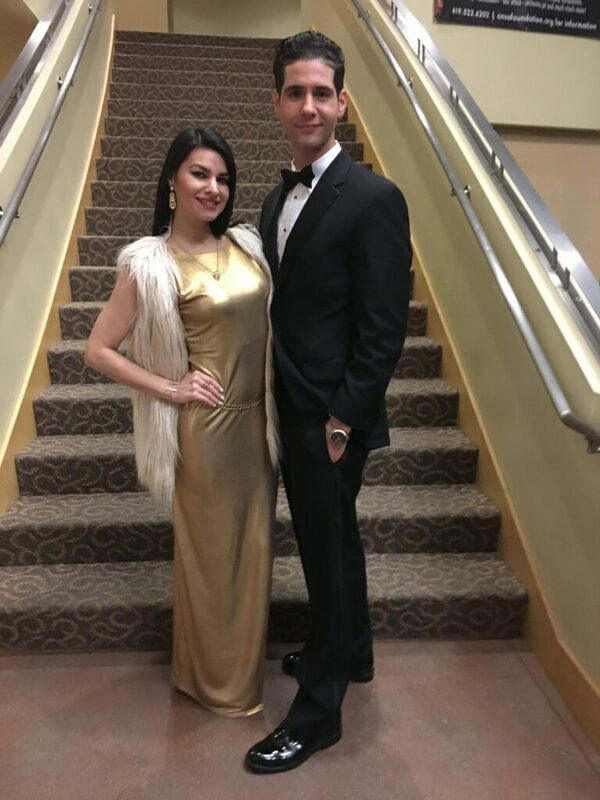 In addition to local competitors, the audience enjoyed a special performance by Brian Heil and Jessie Olsen of City Ballet of San Diego. 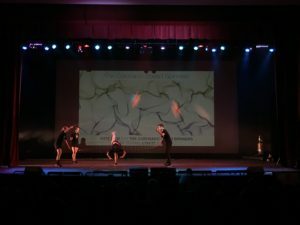 The 25 acts ranged from show tunes to rock bands, aerial circus acts to Coronado Speed Spinners jump ropers doing gymnastics, and acts which took us on a world adventure. As the night’s entertaining emcee, Larry Delrose, pointed out, we heard songs in French, when Signe Shinn gave us a treat with her performance of La Vie En Rose by Edith Perl, and in Spanish when Guadalupe Medrano graced the stage in a beautiful hoop-skirted traditional colorful fiesta dress and sang “Aries De Maya.” One of the judges, Mayor Richard Bailey, gave his comments on her performance in Spanish (yes, our mayor is bi-lingual). 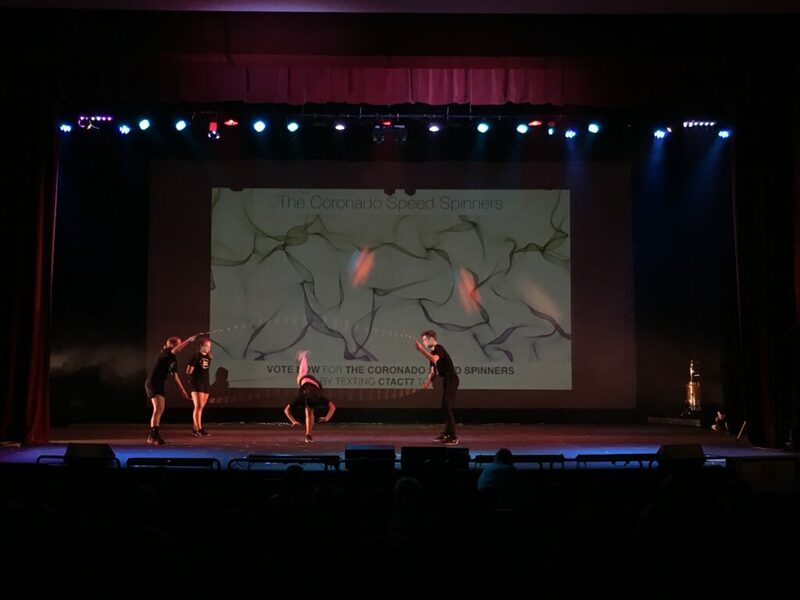 We saw acts that looked like they were straight from Vegas: by Meghan Grossmann & Kenzie Uyesugi and their aerial hoop performance, and acro yoga by founders of Balance Your Universe, Karina Santamaria and Gino Pimentel, who has served in the Navy for 8 years. 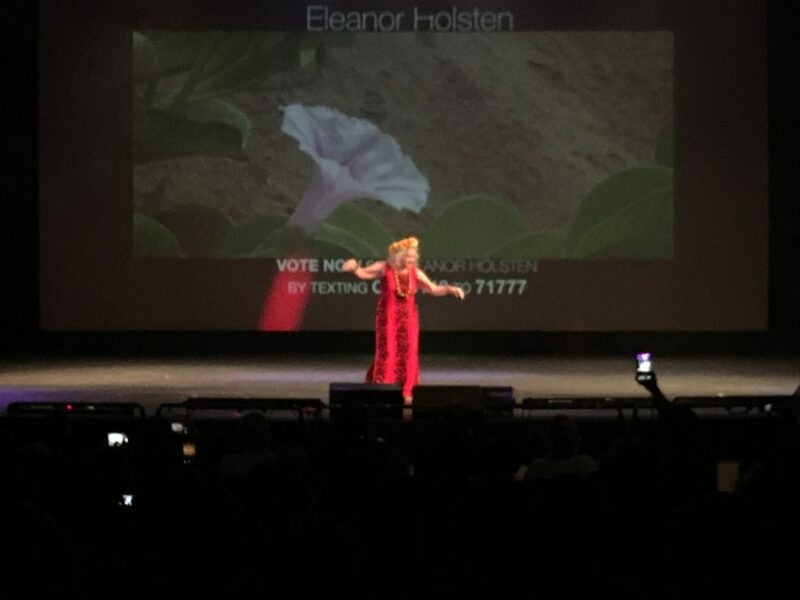 The Broadway show tunes performed by several took us to New York City, and we were delighted to feel the aloha spirit as 100 year old Eleanor Holsten performed a hula dance to a standing ovation. As Delrose pointed out to the audience, a trip like this would have cost us each about $10,000. The audience got a much better deal all in a couple of hours for their donation to the schools foundation. Judges, Mayor Richard Bailey, Harold Rapoza, GM of Hotel Del Coronado, Commander Michael Cornelius, Dan Boyle of Coronado Training Center, and Jane Mitchell, Miss Coronado 1980 and former broadcast journalist, scored the contestants and added their scores to the votes which came in via text by the online audience and the votes cast in the lobby. 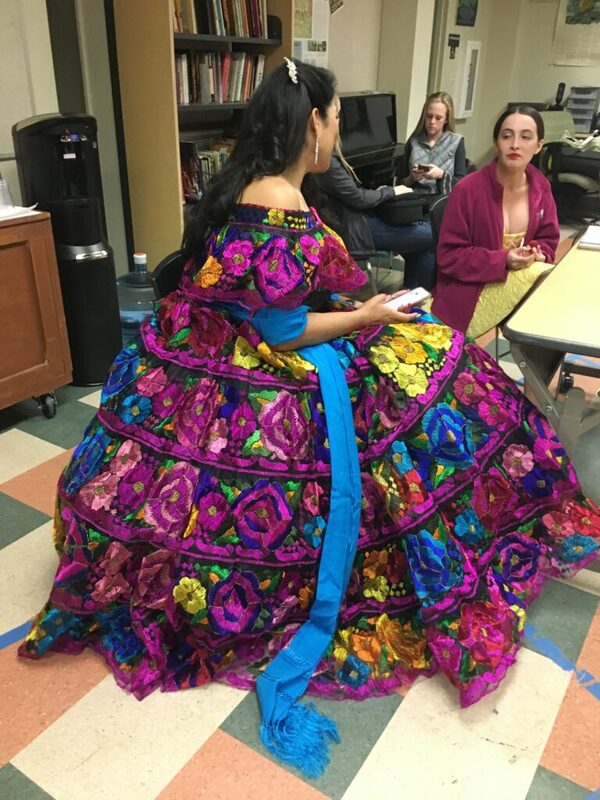 Each audience vote cast contributed $2 to the fundraiser. While the votes were calculated we heard the first ever winner of Coronado’s Talent, Christine Umali and her amazing voice followed by the announcement of the audience favorite which turned out to also be the grand prize winner. 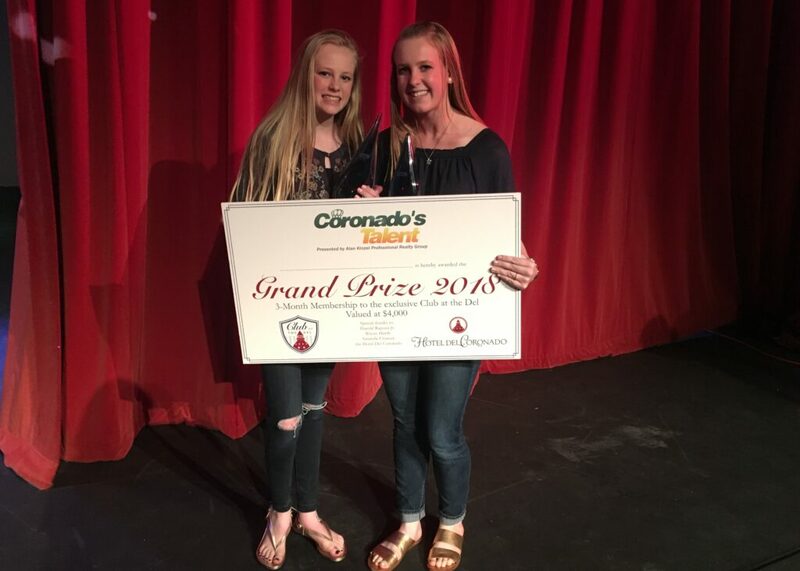 In the end, the audience and the judges gave the grand prize to hometown sisters, Kennedy & Kassidy Scott, performing an original song accompanied by Kennedy on the ukulele. Their song delivered a powerful message about the importance of being beautiful on the inside and was written one day after the sisters, both Coronado cheerleaders, had reflected on how one looks doesn’t always align with their inside beauty. These young ladies used their talent to bring light to an important subject in today’s culture. As the winners, their grand prize is a 3-month membership to the Club at The Del. 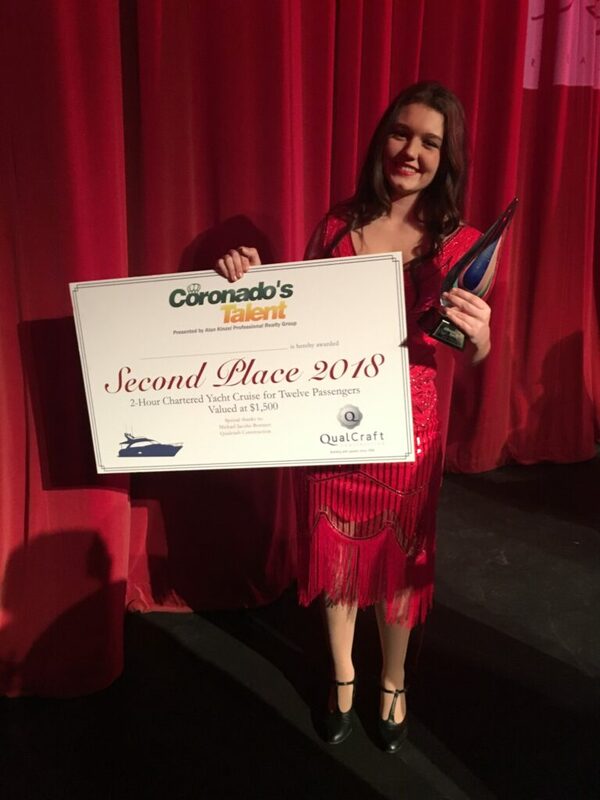 Placing second, Islander, Coronado high schooler and a student of CoSA, Savannah Coffield hit every note with her vocal performance. Savannah is a singer, songwriter and an actress. She definitely delivered! Savannah and 11 guests will get to enjoy a 2-hour yacht ride courtesy of QualCraft Construction. Grace sharing her excitement with her sister and her friend. 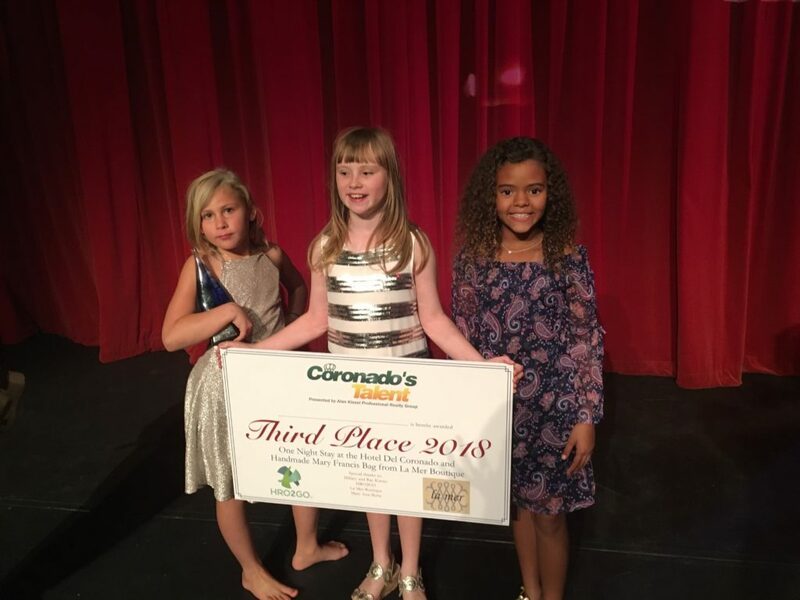 Third place went to Village Elementary student, Grace Dabbieri, and her performance of “Hallelujah” which brought many in the audience to tears. Grace, who sang the National Anthem at last year’s show was very excited to learn she won a night’s stay at the Hotel Del Coronado along with a handbag from LeMer and gift cards to Nicky Rottens. This second annual Coronado’s Talent show, presented by Alan Kinzel Professional Realty Group of Douglas Elliman Real Estate as a fundraiser for the Coronado Schools Foundation, was an overwhelming success. Alan and all of the donors and sponsors truly pour their heart and generosity into this event. 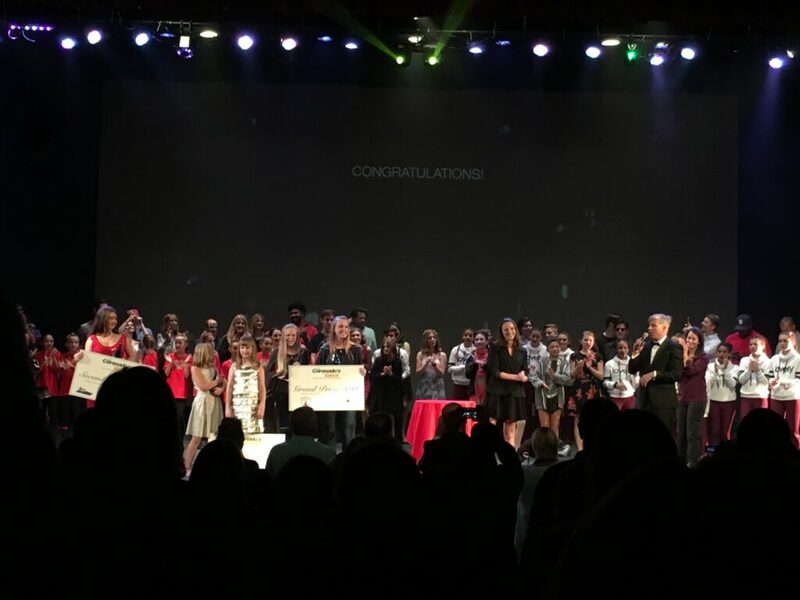 The evening raised over $25,000 for CSF and left us looking forward to next year’s talent and another fun-filled evening.